On the couch. One of our favourite places to be and, for me, a favourite piece to style. It’s easy to update the look, feel and appeal of your sofa, and your whole living area, by changing up the cushions and accessories on your couch. 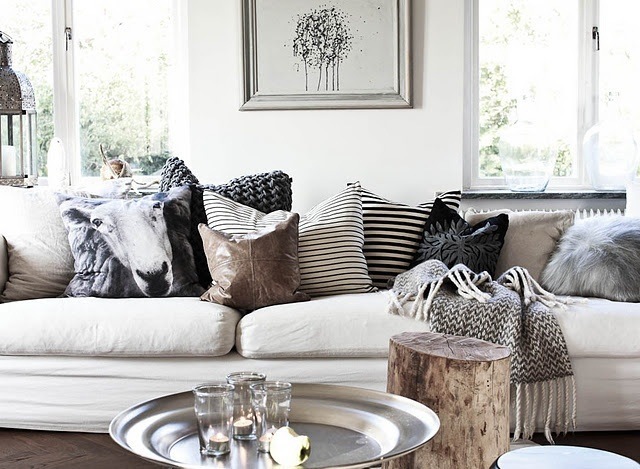 The homewares market is filled with cushion inspiration and an almost endless array of options for styling your sofa. This means we either end up with too many cushions, or a small collection of one-off purchases. And interior mags add to the dilemma by telling us to do what feels right, buy things we love and be “eclectic”. I agree with all that, up to a point. 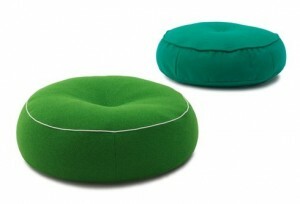 But random cushion-clashing and buying on impulse does not always lead to a harmonious result. So how do you make your cushions work? Top tips to help you buy and style cushions with confidence. What is the mood and function of your room? This will guide what you buy and how you style. Cushions in a formal space are more likely to “match” in colour, order and number and like to sit formally on the sofa. Australian designer Greg Natale, master of the formal lounge, uses symmetrical design and matching chair and cushion arrangements to create his Hollywood Regency-inspired spaces. It’s not everyone’s taste, but certainly showcases how to pull off a formal matching cushion. 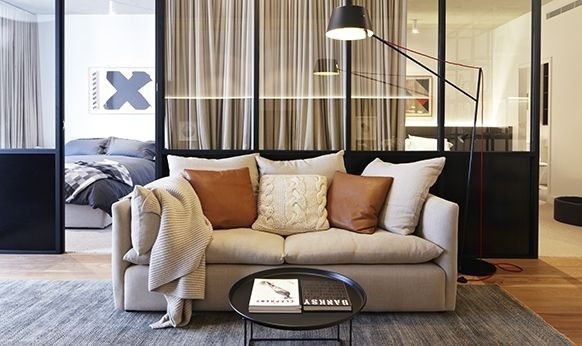 For most of us though, sofas are in the everyday and high traffic zones of our home. 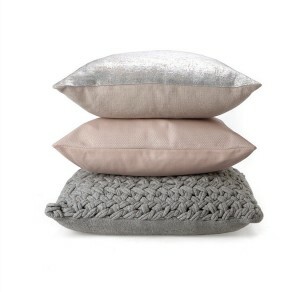 Here, cushion styling is more casual and relaxed. 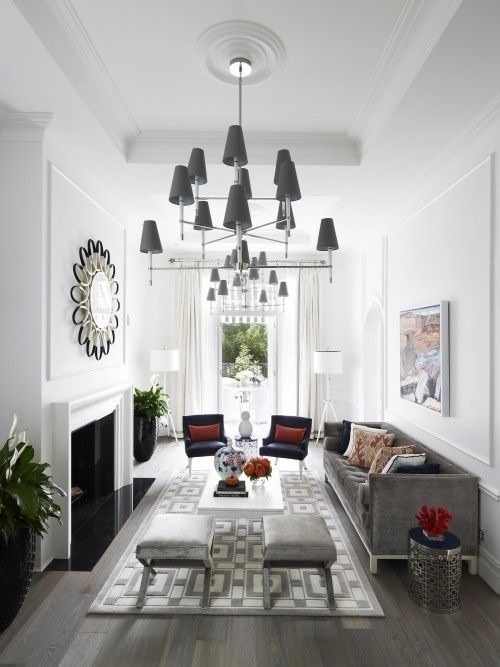 This is where you can play with the pattern, colour and number of cushions to create an inviting, informal look. 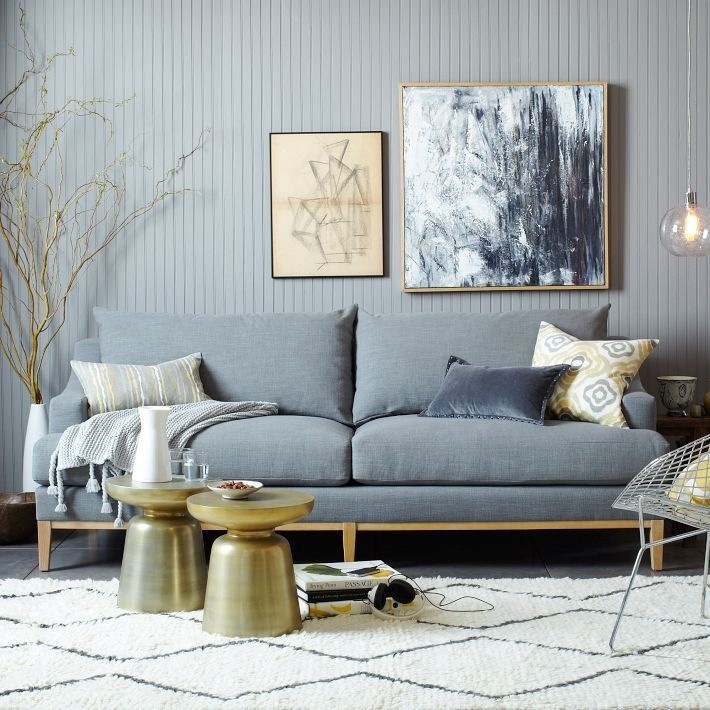 West Elm Montgomery sofa and accessories. Tonal. Relaxed. Take a cue from the favourite things in your room. Is there a colour, ornament or artwork you particularly love? Use this to guide your choice of cushions. 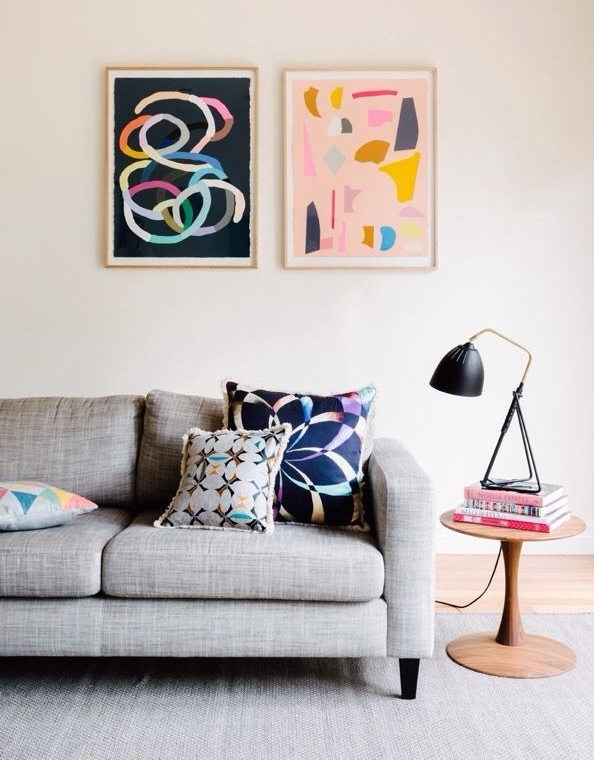 They do not have to match the room or each other but should connect through a complementary colour, tone, texture or print. If you are interested in mixing prints and patterns, choose patterns that are similar in scale and complementary in tone. Use plain cushions to anchor and relieve the pattern. 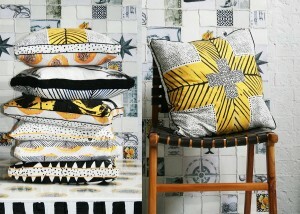 Hand-printed cushions by Ahoy Trader. Graphics and stripes by Citta Design. 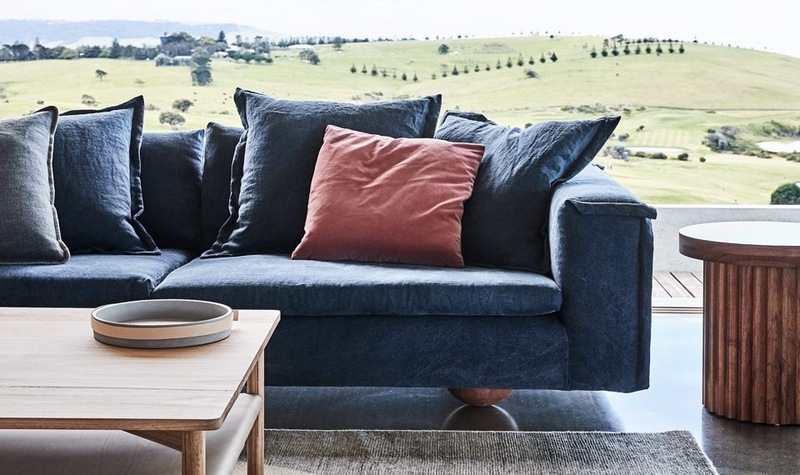 Every season Country Road releases a range of affordable, adaptable cushions that make a good anchor for more patterned, complex styles. 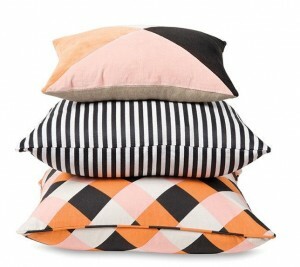 Mix these basics with one or two higher end choices, like these screen printed silk cushions from Megan Park. Place larger cushions at the back and layer smaller cushions forward. 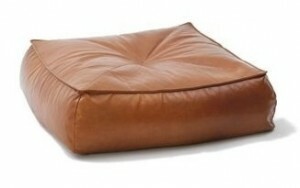 I also love the effect of a round or rectangular cushion to vary height and shape. The Rachel Castle ‘Penny Round’ cushion below is one of my favourites. 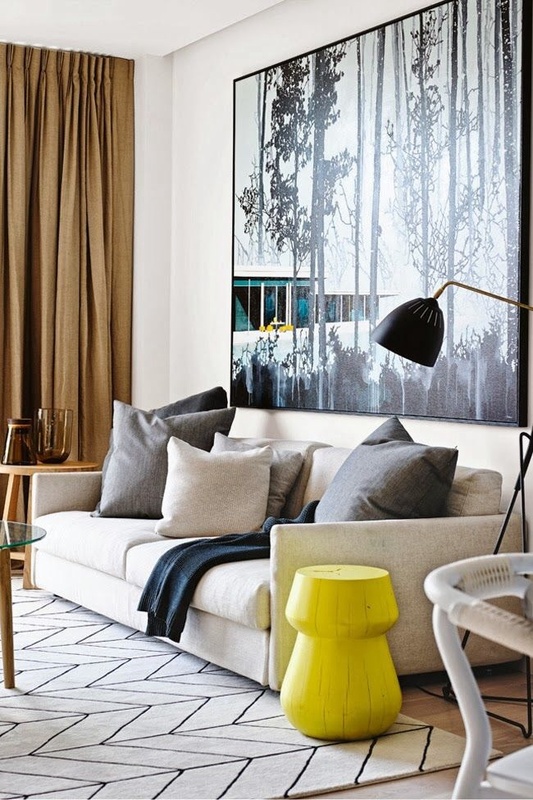 Include textural elements to your cushion selection, particularly in tonal schemes where colours are very similar. 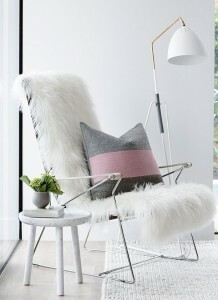 Leather, velvet, knits, fur and metallics all add visual and tactile interest. 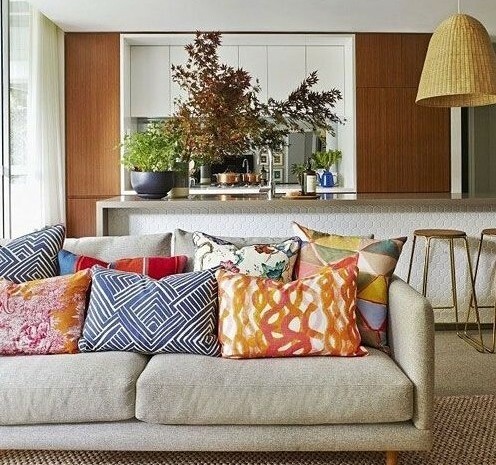 Cushions don’t have to stay in a corner of the couch, be arranged in a row or cover the entire couch. 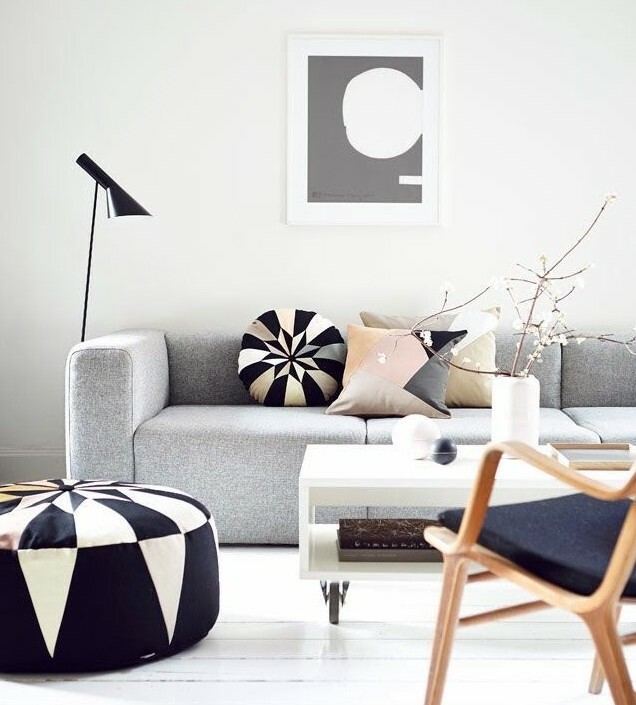 If you’re not a fan of cushions or like a minimal look, just place 3 cushions of varying shape in one section of the couch and leave it at that. 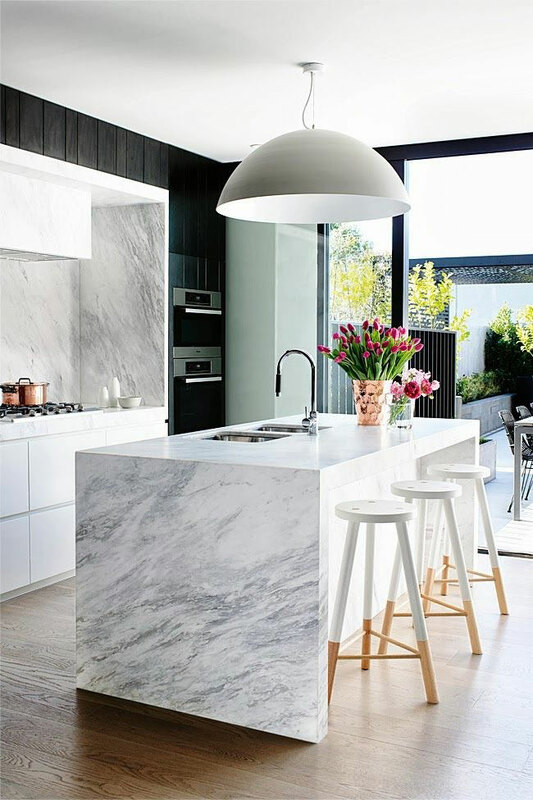 Add layers to create a harmonious, inviting environment. 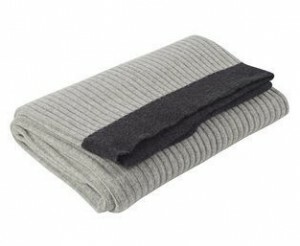 Drape a luxurious throw over your sofa and add an ottoman or floor cushion to complete the scheme. 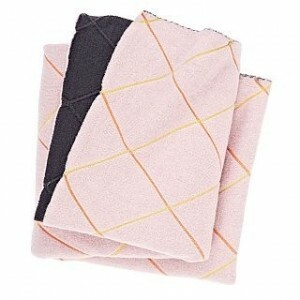 ‘Bassike by Bemboka’ wide rib throw. 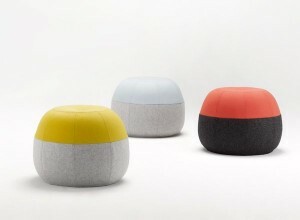 The Coco Flip ‘Puku’ felt ottoman in beautiful brights and pastels with a choice of pale or dark grey bottom. #8 Love your chairs too. Accent chairs can look fantastic when styled with a skin, throw or cushion. Just keep it simple and tie in with other elements in the room.